Wow. Another Linux game made by a big game studio. 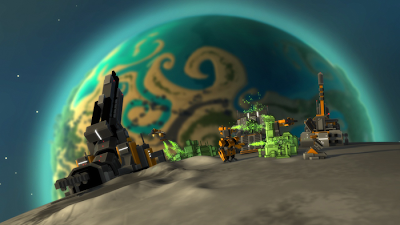 This time a 3D RTS game Planetary Annihilation by Uber Entertainment, with a team of renowned developers who worked on games like Total Annihilation, Command & Conquer and Supreme Commander. The game is on Kickstarter and they have raised $350K in just 2 days, with 28 days left to reach the target of $900K. In an update just few minutes back, they confirmed Linux support. Head over to Kickstarter for more info, the game is expected to be released in Jul 2013.